Diamonds are associated with wealth, prestige, purity and the original symbol of invincibility which is what the Greek translation of diamond signifies. So many people today love to have diamond tattoos for the various attributes attached to them. There are many designs to choose from with different meanings. This is usually a simple outline of a diamond most preferably drawn on the wrist or somewhere inconspicuous. It is used to signify power and wealth. 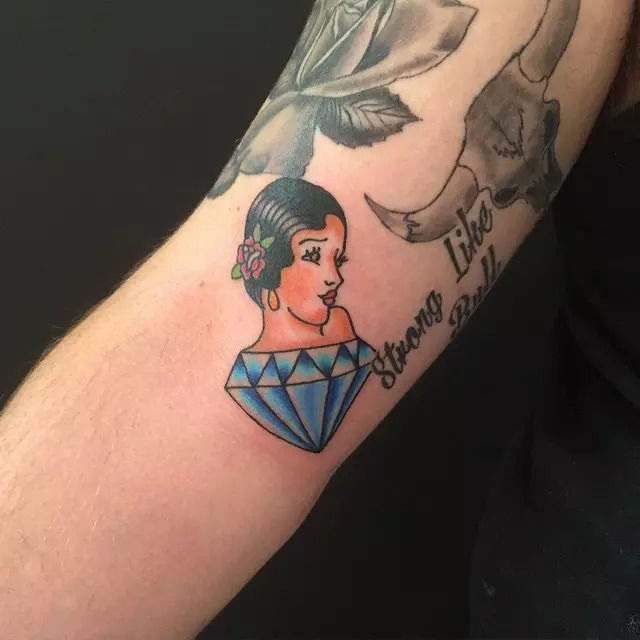 If, for example, a person may feel they are rich but not rich enough to afford the real deal, they can decide to get themselves the small black diamond tattoo as an alternative. 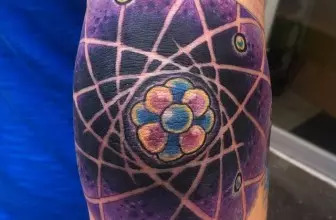 The melting diamond presents a very unique design and some people love it purely for that factor – the chance to have a uniquely designed tattoo on their body. But it has also been associated with passion and desire, the type of passion able to melt a diamond. Some people also get this tattoo to remind them of a relationship that failed or a love that may have been lost in death. The most common colors are red and black. Although diamonds are originally colorless, diamond tattoos can vary in color. The color tends to describe the character of the wearer of the tattoo or whatever message they are trying to deliver. A red tattoo, for example, is associated with love, preciousness, desire as well as wealth. Green is associated with nature as well as commitment, for example, a couple could decide to get green diamond tattoos to show the strong commitment they have to each other that borders on jealousy. The colors chosen can just be left up to the wearer to interpret on their own or just to choose them because they like that particular color. Diamonds can be combined with different other designs to create a new meaning, for example, when you have a diamond with wings it may signify wealth, but a type of wealth that is angelic and free of greed. It is also a symbol of a free spirit as wings and birds are associated with freedom and independence. The wings can also just be used to create a bit of an enigma. No doubt wings on a diamond are a bit of a mystery. This comes off as elegant and classy, having a well designed white diamond tattoo or even a number of them of different sizes. These are also a symbol of wealth and can be used to substitute the real deal as a classy decoration especially for women. White tattoos stand out, attract attention and look beautiful. They also defer from the original green tattoos that may seem a bit too rough. This is an elaborate tattoo featuring a collection of diamonds and maybe a few other jewels like pearls in an oyster shaped jewelry box. It is a symbol of wealth, more like showing off, in fact. It is best on the shoulder or back and in most cases will be big in order to stand out and display the artistry of the tattoo. It gives you a chance to have a variety of colors incorporated into the tattoo, say, one for each diamond in the jewelry box. For those who do not wish to leave the interpretation of the diamond tattoo they have to speculation, they opt for words to accompany the tattoo, for example, a tattoo with the word “life is my diamond,” or “I will love you through infinity”, “never give up” and stuff like that. Writing words besides, under or around your diamond tattoo will add an explanation to the work of art that is designed on your body. It is becoming common for people to want to have cute tattoos and what is more cute that a teddy bear? There is not much more to such a tattoo, it is just a cute tattoo to have and you can go further and make it cuter by making it pink or some other happy color. Some women choose to add the words, “What are little girls made of?” implying that they are made of teddy bears and diamonds and all things nice. Flowers are just as much a favorite for tattoos as diamonds so it is very common for people to opt to combine them in one tattoo. Sometimes it is for the beauty and other times it has a symbolic meaning to the person who chooses it. Quite often you will have them with roses – which are the most loved flowers, daisies, sunflowers and many more. The meaning of these are really up to anyone and whatever sentiment they may attach to it but they are beautiful tattoos no matter what the meaning. Following the movie, Blood Diamonds’ that highlighted the suffering of people in Africa and how many people die to get diamonds, some people have decided to get tattoos either in protest of the killings that go on to satisfy the appetite for diamonds or to show solidarity with those suffering because of the blood diamond trade. 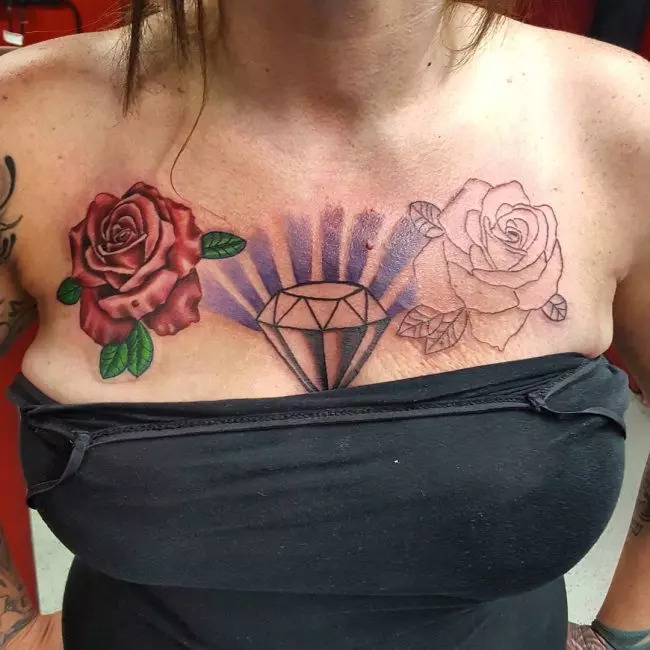 A really cool design for a tattoo, designed to look like a necklace round the neck with a diamond hanging or just small diamonds connected together round the neck. It is like wearing a permanent diamond necklace round your neck. All in all there are a number of designs for diamond tattoos out there you just have to check out the catalogs to realize that and they are popular for both men and women. 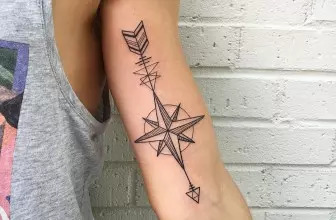 The creativity of tattoo artists is constantly churning out new attractive ideas for diamond tattoos and since diamonds are a very beautiful and fascinating precious stone, they will be one of the favorite tattoo designs for many people. You can attach whatever meaning you wish to the tattoo as long as it best describes you or your sentiment.